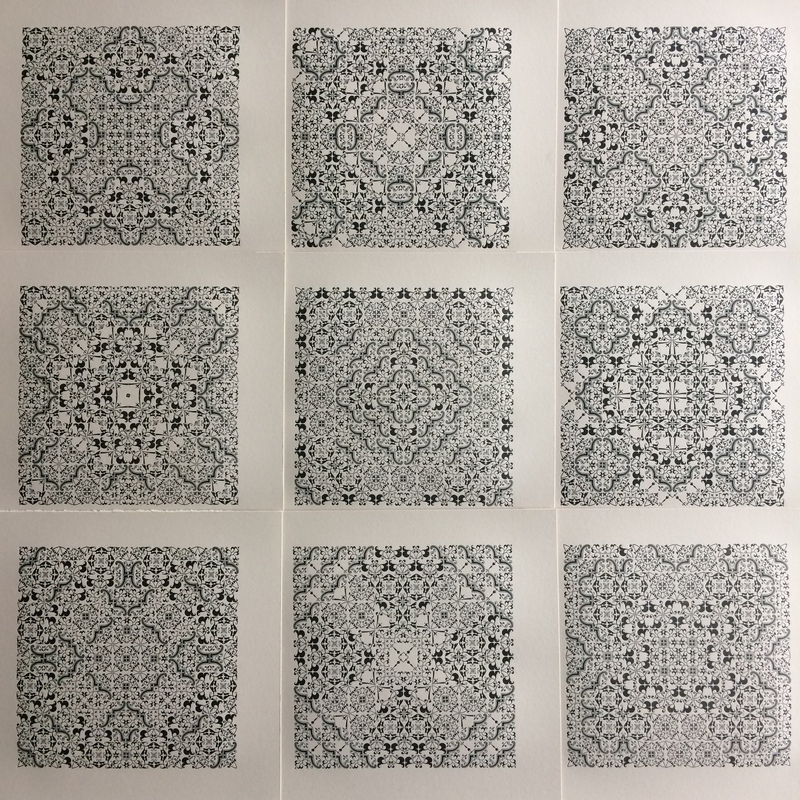 In the past couple of months I’ve been busy in the press. 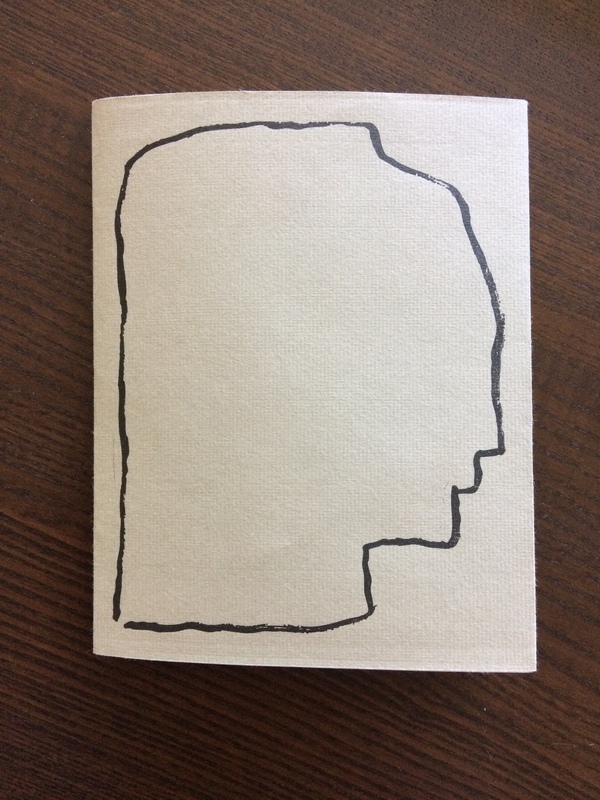 The second series of SLUG.DOCS has hit the streets: a trio of chapbooks by fellow candidates in the Creative/Critical concentration of the Literature doctoral program at UCSC. 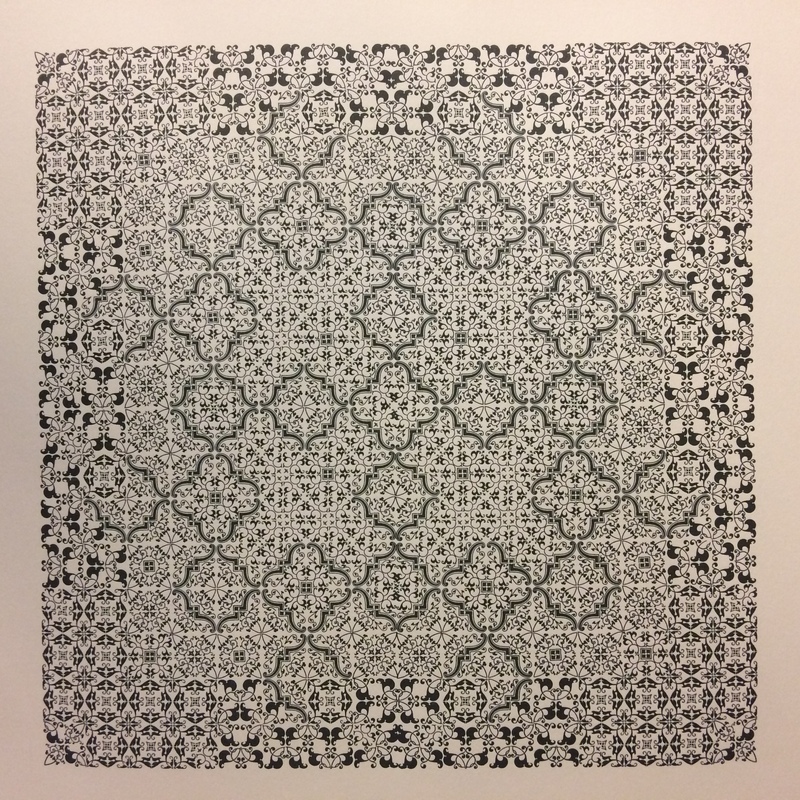 The first set in 2016 was the pair of Clean and Shiny, by Eric Sneathen and Cathy Thomas, respectively. 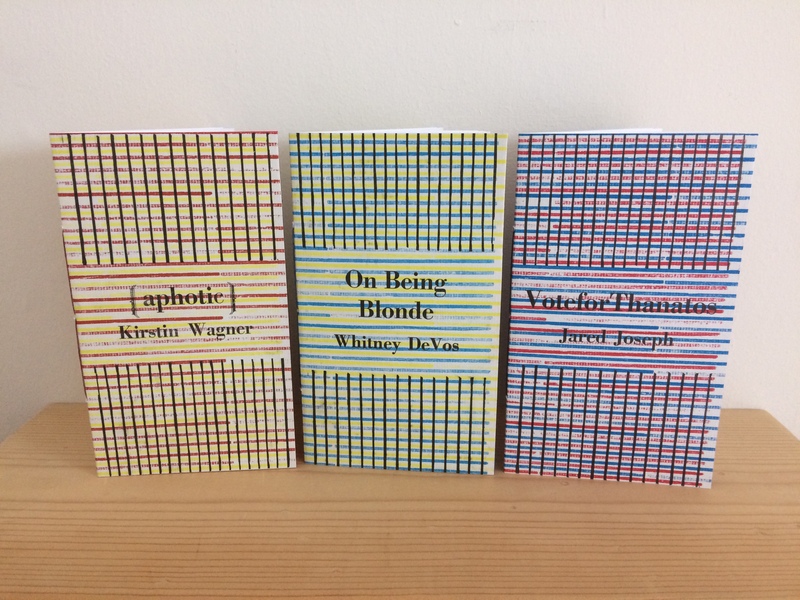 This set consists of On Being Blonde, by Whitney DeVos; VoteforThanatos, by Jared Joseph; and [aphotic], by Kirstin Wagner. The colored stripes were printed from a form of raised wooden furniture painstakingly assembled by Dina , a student at the Cowell Press, with the help of Gary Young. The black stripes are printed from cut linoleum blocks. Typeface is Bodoni. 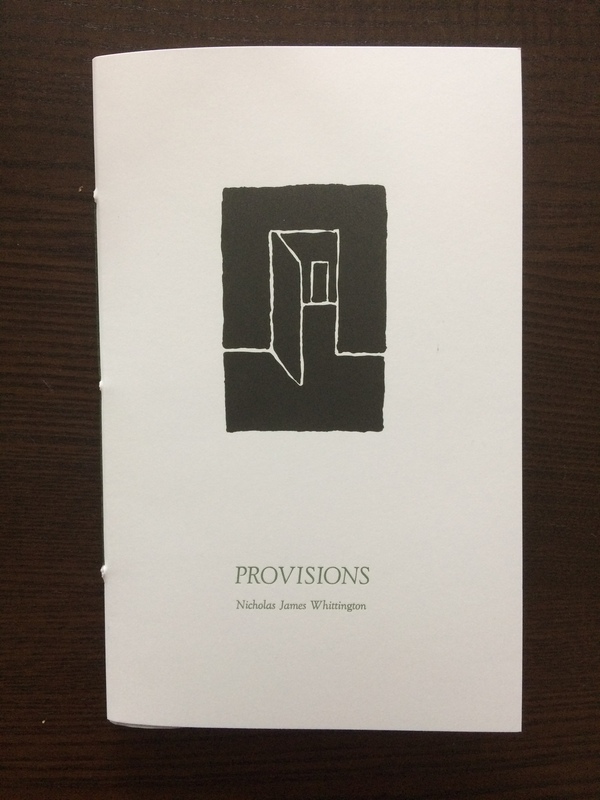 I also printed the covers for my own book of poems, Provisions, just published by Jason Morris’ PUSH press, with cover art by Joe Ferriso. When Jason first suggested Joe’s work for the cover, he and I both immediately had the same particular painting in mind. 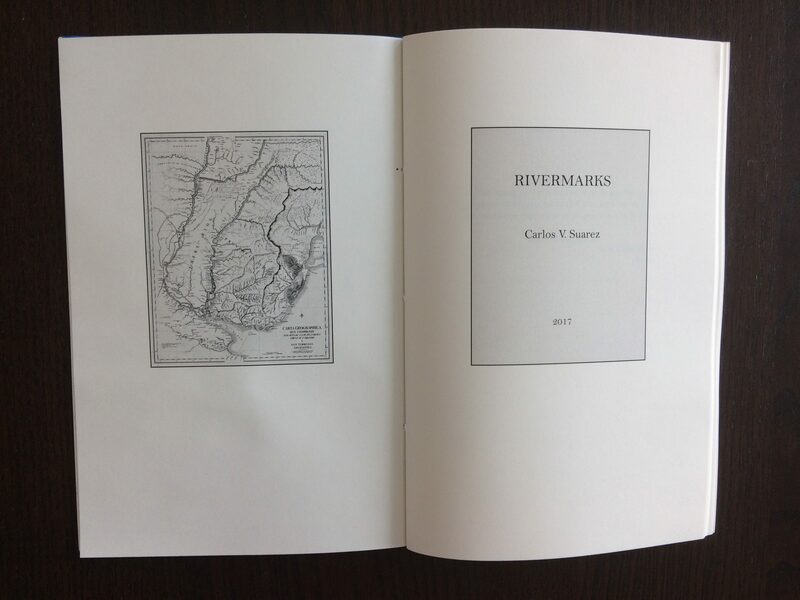 Initially, we thought just to have it reproduced on the cover as it was, printed digitally. 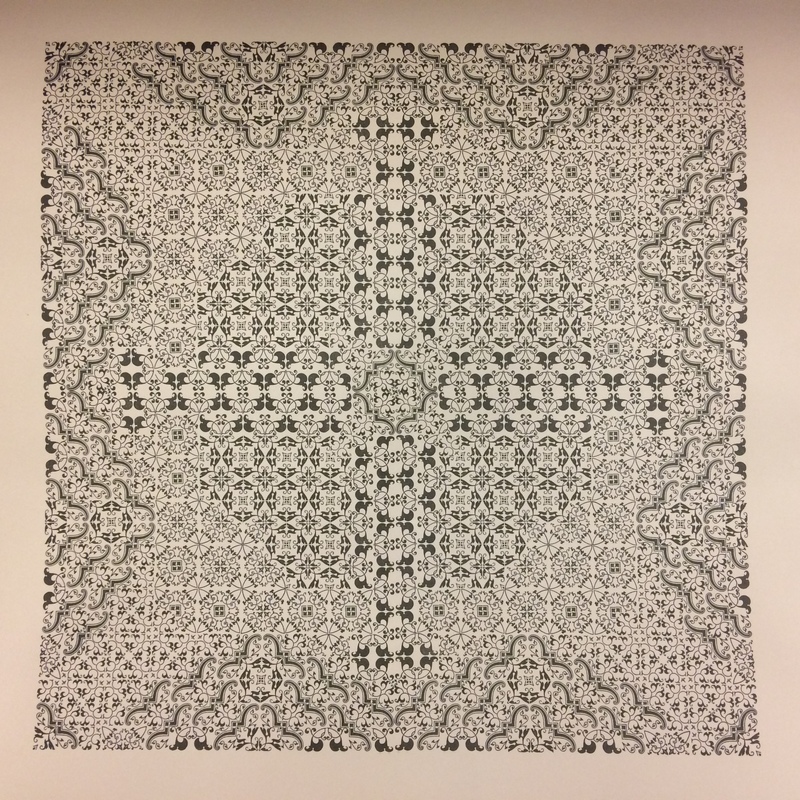 Then talking to Joe about it, he suggested having a rubber stamp made, instead, and so did another smaller watercolor version, then converted it to a vector image, and I said, why not make a photopolymer plate and print it letterpress? So we did. Typeface is Goudy Oldstyle Italic. 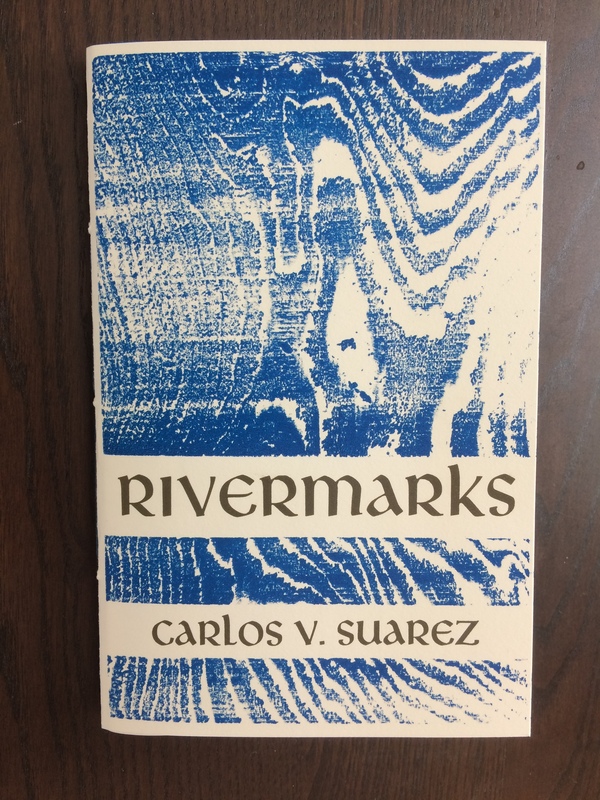 As that was in the works, Carlos Suarez, Argentinian poet and scholar (his dissertation was a Jungian interpretation of Julio Cortázar’s incomparable Rayuela, translated by the great Gregory Rabassa as Hopscotch), hired me to design and produce a volume of his poetry, entitled RIVERMARKS. 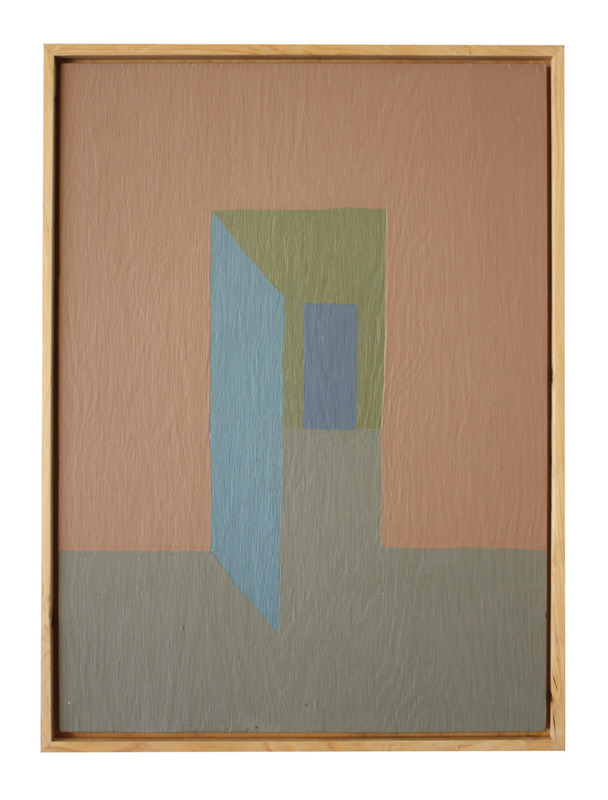 I used some weathered blocks of wood, kindly provided by Gary Young, to print the design. Typeface is Libra. He’ll be reading from it at Bird & Beckett Books on Sunday, July 9th, and 2 pm, if you’d like to check it out. 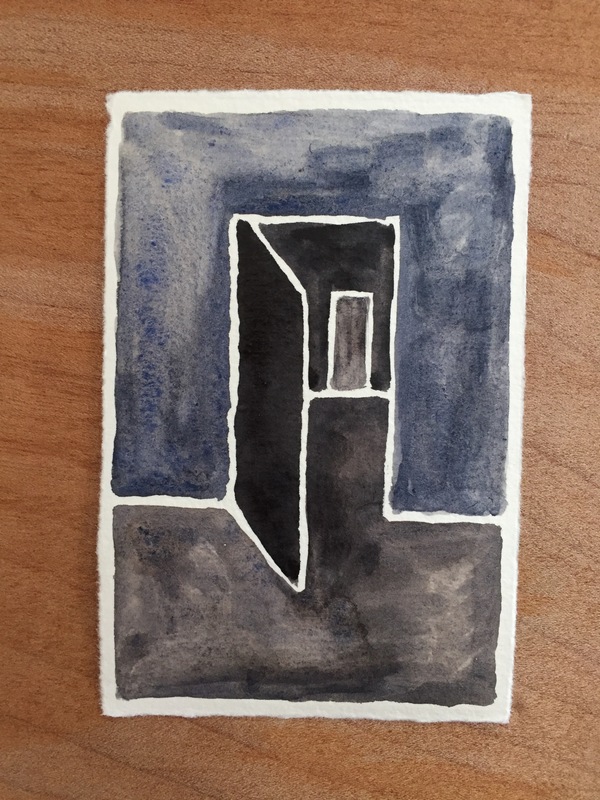 All the while, I’d been working on the next Bird & Beckett book: a set of drawings and poem notations by J Grabowski, entitled Time Landscape. More on this one in a bit, as he’ll be coming out to SF from his beautifully humble abode on Manhattan Island in August, reading from the book, and showing some art in the back room Gallery Ex Libris at the bookshop. Mark your calendars for the evening of Tuesday, August 8th for that. Details TBA.